MAKE AMERICA SAFE AGAIN DAY 1 - The mother of a Mesa police officer who was killed by an illegal immigrant is scheduled to speak in prime time Tuesday night at the Republican National Convention in Cleveland. Mendoza has demanded to know why her son's killer wasn't deported after a conviction 20 years earlier. MAKE AMERICA SAFE AGAIN DAY 1 - Mark Geist and John Tiegen, two men who survived the terrorist attack in Benghazi, Libya, gave a horrific account of what they experienced that night in their speech at the Republican National Convention — even finding time to make jokes about tampons. "After the first initial firefight ... he had to pull out his medicaid and grab some gauze and shove it in his ear, it's really funny, it looked like he had a tampon coming out," Tiegen said of his survival, to laughs in the audience. 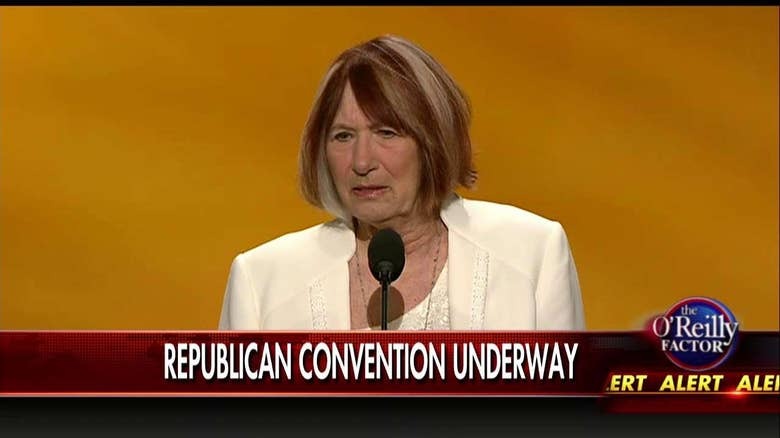 MAKE AMERICA SAFE AGAIN DAY 1 - Pat Smith, the mother of Benghazi victim Sean Smith, said at the Republican National Convention tonight that she blames Hillary Clinton for her son's death. "We lost four brave Americans who made the ultimate sacrifice for the country they chose to serve," Smith said. "For all of this loss, for all of this grief, for all of the cynicism the tragedy in Benghazi has wrought upon America, I blame Hillary Clinton. I blame Hillary Clinton personally for the death of my son." 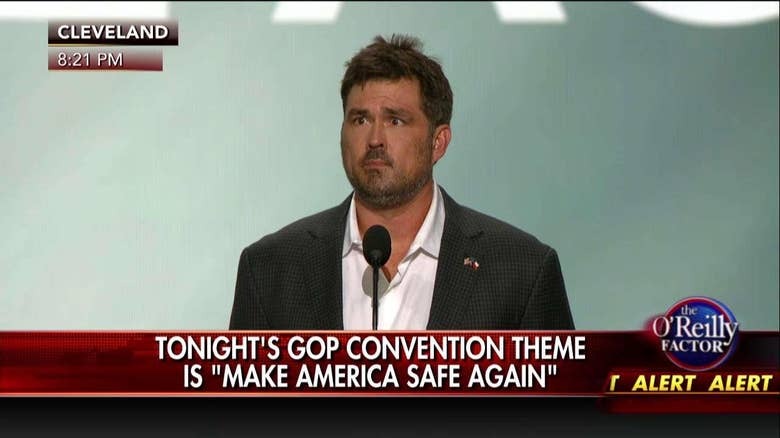 MAKE AMERICA SAFE AGAIN DAY 1 - “Lone Survivor” Marcus Luttrell delivered an emotional address tonight at the Republican National Convention in Cleveland, saying that Americans can only overcome our many challenges together, not apart. "Every one of us has to step up in some way," Luttrell said. "We need our leaders to lead by example ... and show the American public that each and every life underneath the flag should be family and treated accordingly." "In order for any life to matter, we all have to matter," Luttrell stated. MAKE AMERICA SAFE AGAIN DAY 1 - Perry, who endorsed Trump in May despite previously calling him a “cancer on conservatism,” spoke only about Marcus Luttrell, a retired Navy SEAL who wrote the book Lone Survivor and gave his own remarks after Perry’s. The only Trump-esque line in Perry’s comments was a riff on his “make America great again” motto. “Tonight, our commitment is this: Making America great again starts by taking care of our veterans,” Perry said. 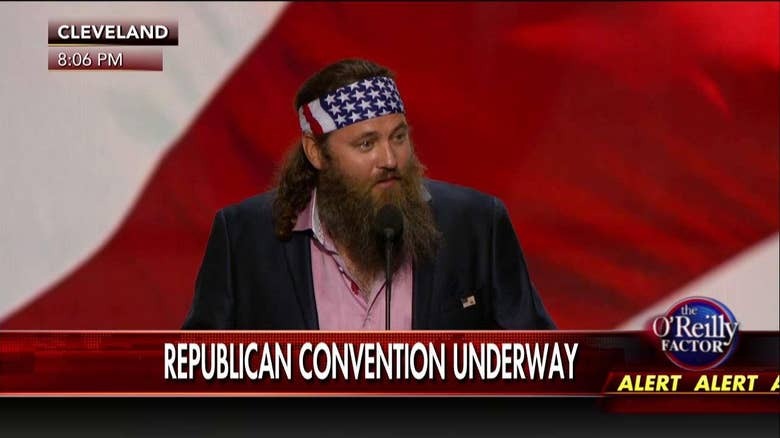 MAKE AMERICA SAFE AGAIN DAY 1 - "Duck Dynasty" star Willie Robertson spoke this evening at the Republican National Convention in Cleveland. He said that Trump is a better candidate than Hillary Clinton because he understands everyday Americans. "Donald Trump will always, always, tell you the truth as he sees it. And that's why we can trust him to make America great again as our next president." Robertson said.